Simone Biles looks on during warm ups before the Sr. Women's 2016 Secret U.S. Classic at the XL Center on June 4, 2016 in Hartford, Connecticut. 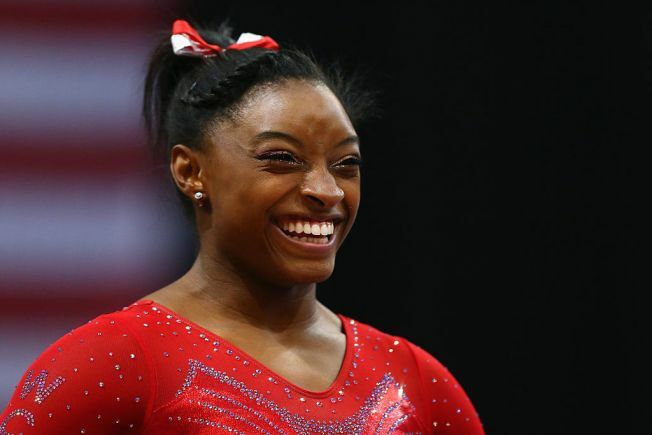 USA National gymnast Simone Biles may be super busy practicing for the Olympic Trials at the SAP center in San Jose, but the all-star athlete still had time to gush over actor Zac Efron on Thursday when he wished her luck in the competition. Biles, who has been outspoken about her love for the “High School Musical” alum, made an appearance on The Ellen Show last March, where she reiterated her “Fan Girl” status and was gifted a fancy leotard bedecked with Efron’s face. As many might have predicted, the ensuing tweet went viral. It seems Efron, who is currently working on film projects, took notice. He hopped on Twitter to wish Biles good luck. Soon, many of Biles' friends and competitors weighed in, saying that the Efron tweet made "her life." The Olympic Gymnastic Trials will air on NBC starting 9 p.m. Friday and continuing through Sunday evening. Find details on where to watch here.